Former IDF Chief of Staff and chairman of Hosen Yisrael party discusses his views on future of Israeli settlements. 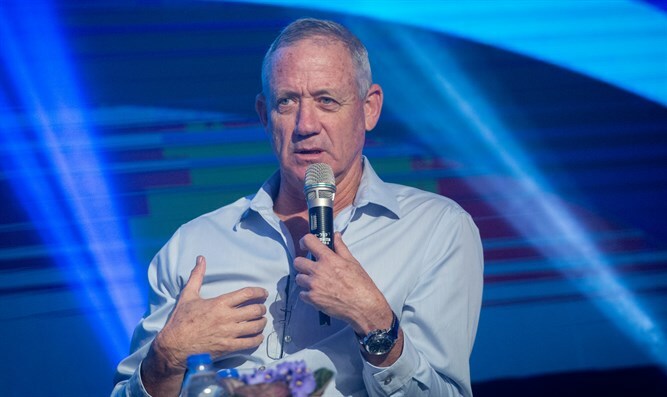 Last week, former IDF Chief of Staff Benny Gantz unveiled his new political party, Hosen Yisrael (Israel Resilience Party) ahead of the elections for the 21st Knesset this coming April. Since then, however, Gantz has revealed little in terms of details regarding the new party’s position on hot-button political issues like the future of Israeli settlements in Judea and Samaria and final status talks with the Palestinian Authority. In a soon-to-be-released interview, however, Gantz touches on his views regarding the future of Israel’s presence in Judea and Samaria. The interview, conducted last February, will be aired for the first time Thursday evening on Channel 12. In part of the interview which was released prior to the airing, Gantz seems to back maintaining Israeli control over most of the Israeli towns in Judea and Samaria, and not simply large communities close to the pre-1967 Green Line, or so-called “consensus settlements”. While Gush Etzion – a large bloc of settlements just south of Jerusalem – and Ariel, one of four Israeli cities in Judea and Samaria, are widely regarded as “consensus settlements” which are likely to remain under Israeli control according to most final status plans backed by the Israeli left, Ofra, which lies deeper in Samaria along Route 60, is outside of the Israeli security fence many on the left view as more or less a demarcation for a future Israeli border with a new Palestinian state.